For those of you who are concerned that you’re getting too fit, too fast with the P90X program, you can do what I did last night. After completing Chest, Shoulders & Triceps and Ab Ripper X earlier in the day, I sat down after dinner and enjoyed a P90X Recovery Sundae. It’s chock full of the optimal mixture of fats, carbs and sugar and is designed to offset one full session of Plyometrics. And it comes in a full assortment of flavors. My favorite: hot fudge with vanilla. Concerned about the additional time commitment? Not to worry. 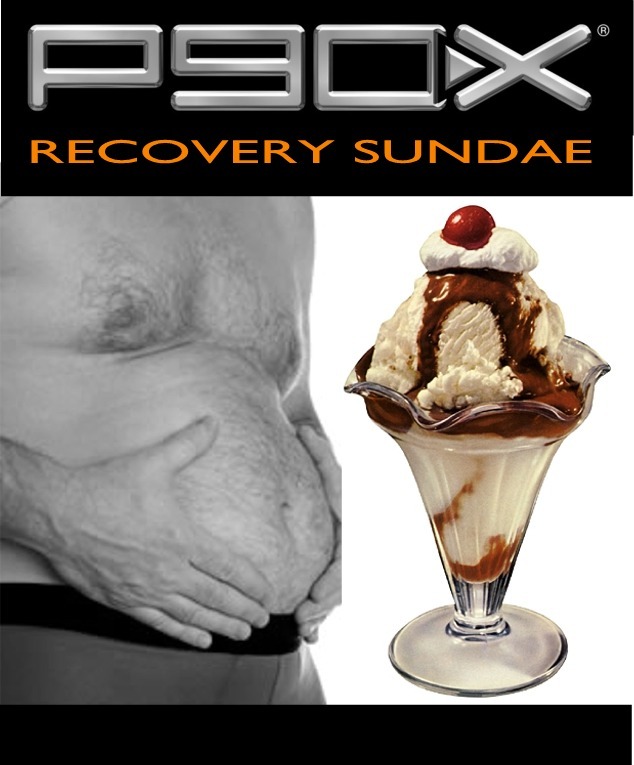 You can enjoy the P90X Recovery Sundae from the comfort and convenience of your couch. 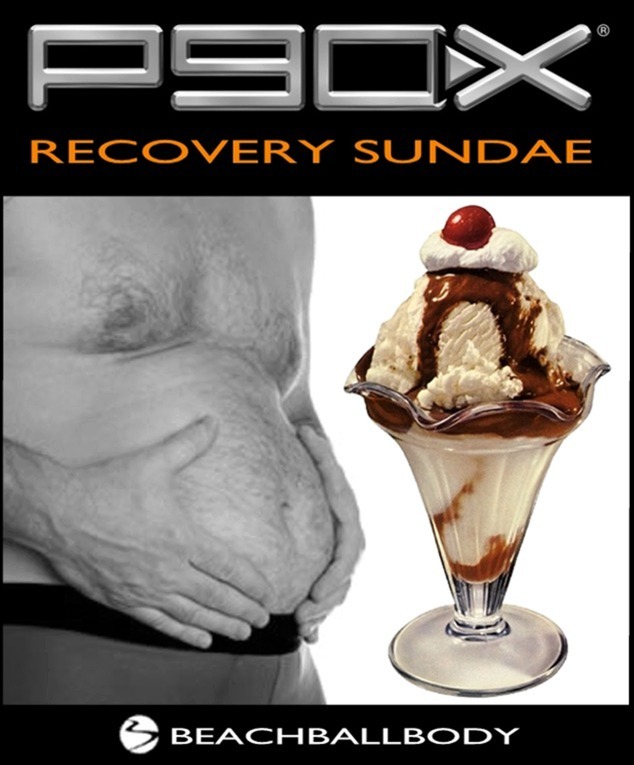 Taken responsibly, the P90X Recovery Sundae will make you a “more rounded” individual, smoothing out excessive leanness. Plus, it makes you more approachable–more human–in the eyes of others. So, because of this miracle product, I was able to engage in today’s Plyometrics session with full abandon, free of the fear that I might accidently achieve perfection before its time. Serious note: deeper squats today with higher jumps. Wow. This entry was posted in P90X, Round 1 and tagged Food, P90X, Plyometrics. Bookmark the permalink.